Galicia Energy (ASX:GAL) is one step closer to completing a reverse takeover of TV2U, having closed out a prospectus offer this morning, raising $4 million in the process. The company told its shareholders this morning that it had hit the minimum subscription needed under the offer, which has been open since 10 December. GAL shareholders have already approved the acquisition of TV2U and the change of name from Galicia Energy to TV2U International Limited, and now the company need only satisfy a few more ASX listing rules before it can start trading. 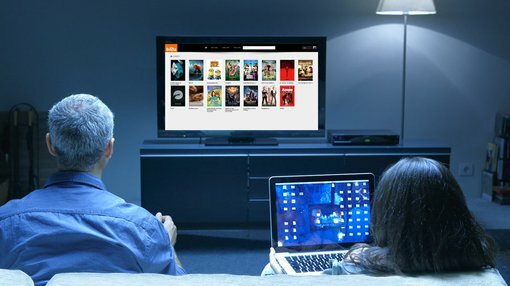 TV2U’s key product offering is TARA, a cloud-based entertainment over-the-top streaming service. TARA users are able to curate channels based on their interests, along with accessing more traditional entertainment products such as Hollywood movies and Karaoke. For example, a user with an interest in skateboarding will be able to curate a channel dedicated to skateboarding. This channel will be populated by not only professional content related to skateboarding, but will also house user-generated content a la YouTube. By building a traditional streaming service but adding a layer of content flexibility, TV2U hopes to attract an audience which it can then on sell to advertisers. Courtesy of TV2U’s analytics platform, it can track individual users’ location, interests, and demographic information. For example, if a skateboard company wanted to reach skateboarders with video advertising, it could do worse than to target the TARA user who had curated a skateboarding channel. Traditional subscription video on demand platforms such as Netflix do possess that level of analytic insight, but they do not use advertising as part of their revenue model. GAL is believed to be looking at the potential of the Asian market for advertisers, and has eyed Karaoke as a way to do this. Last year GAL struck a deal with Sunfly Karaoke to provide content for the service in a bid to attract eyeballs from the region to the service. The deal reportedly added over 13,000 tracks and 1500 full motion karaoke videos into the mix . To put that into perspective, Netflix globally has just under 75 million subscribers.